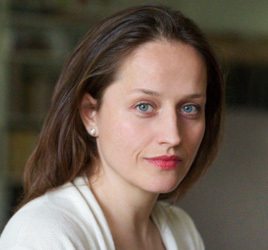 Joanna Kosowska was born in Gdansk, Poland. She studied Art History and German Language at the University of Gdansk and University of Bremen, Germany and received an additional Diploma in Photography and Visual Communication at the University of the Arts Bremen. As a photojournalist she worked in various news media and was a member of the photography department of the German newspaper, Die Tageszeitung, Taznord. Joanna was nominated for the World Press Photo Masterclass, received a grant from the VG Bildkunst and with a DAAD Scholarship, expanded her artistic direction through her cinematic collaboration with Satyajit Ray Film & Television Institute in Kolkata, India. Her work has been exhibited in Germany, Poland, India and USA, is held in the Contemporary Art Collection of Kunsthalle Bremen and F. C. Gundlach Collection Hamburg, Germany, Günter Grass Gallery Gdansk, Poland as well as in private collections. As a freelance photographer, currently based in Berlin, Germany and Gdansk, Poland, she focuses on environmental, social and political topics.